I can’t tell you how many times we have checked the weather forecast this week. It has been an emotional roller-coaster. One minute good, the next not so good. The only thing that has remained consistent is the temperature, and that is cold!! When I was at university I learned about Seasonal Affective Disorder. In short, it is believed that some people’s moods are affected by the seasons. Like a seasonal depression. We both definitely suffer from S.A.D. Getting out of bed in the mornings is just that little bit harder. Wearing so many layers of clothes is a pain. Anything more than a t-shirt is unacceptable, and in Ryan’s case that’s even pushing it. 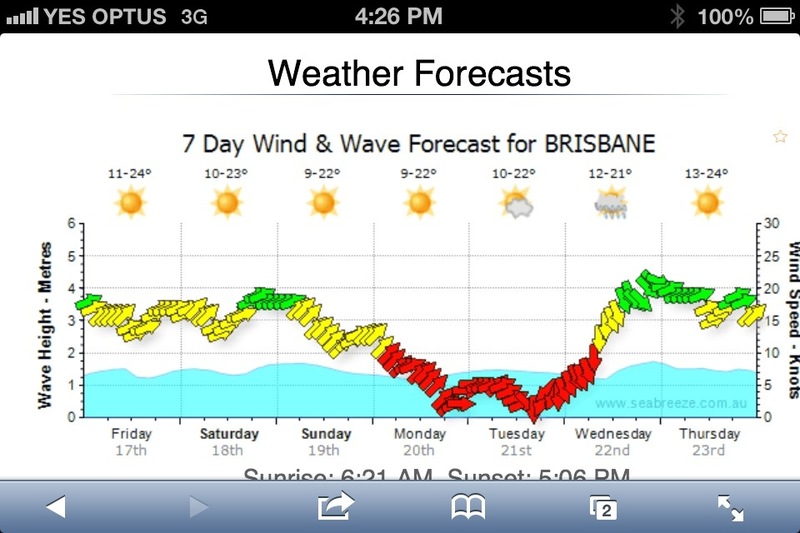 Luckily it is just a cold “snap” and the temperatures will go up slightly next week. Anything in the “teens” is still too cold if you ask me… Only 2.5 months until we escape to Samoa. Will we survive 2.5 months of “winter”?We always do. Will we whinge? Definitely. Consider yourselves lucky that we don’t live in an even colder climate with a longer winter. This weekend we have gone in search of better weather. Without having to go too far, our destination is the Gold Coast. 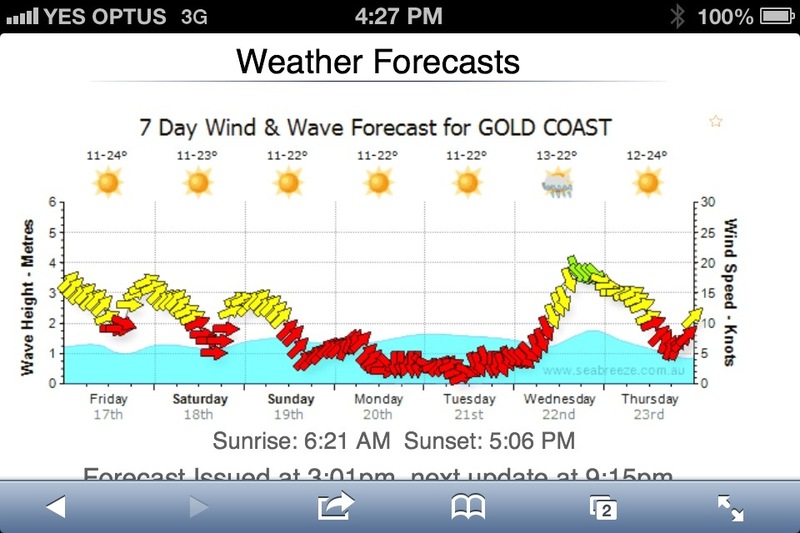 Their forecast is slightly better (not by much) for our aching to get out on the water and do some spearfishing…. And 2 degrees warmer in the morning!! this cold weather whinge comes from a person that was born in what is called Swiss Siberia, the temperatures there drop to minus 40 degrees Celcius. We are so lucky here with our lovely climate…….! “Anything more than a t-shirt is unacceptable, and in Ryan’s case that’s even pushing it.” hhaha, I giggled at this. Does that weather report say high of 22? That’s the average temperature here on the East Coast now and everyone is happy because it’s so warm and beautiful! All relative I guess. I thought a few people would appreciate that!! Haha it is all relative. I guess since the temperature has dropped I’ve been stuck inside an office during the warm hours of the day. So I might feel different about it today. Going out on the boat first thing isn’t going to be warm though! !